River otters seem to be nearly everywhere in the Bay Area. The charismatic critters draw a lot of attention and seem to be doing well in our urban creeks, lakes and estuaries. Sutro Sam, the river otter that took up residence in San Francisco at the Sutro Baths, the Lake Merritt otter and an otter in the bay near Richmond have all made the news. 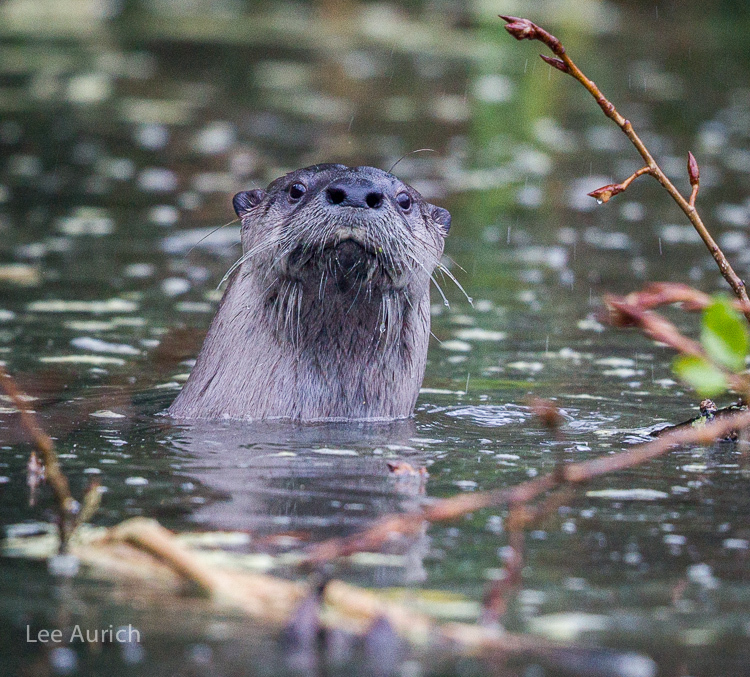 Last year, a river otter was a frequently seen in Jewel Lake at the Tilden Nature Area, munching on fish and crayfish. 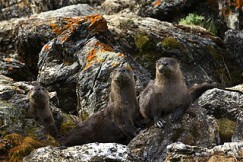 Though they may inhabit salt-water habitats like the bay, these are all river otters, not sea otters. This helpful website, eHow.com, spells out the differences that include river otters' smaller size, larger litters, comfort traveling on land and difference in swimming and feeding habits. Both river and sea otters have been hunted for their dense fur, but river otters are not currently endangered or threatened with extinction like the sea otter population. Last month, a pair of otters was seen every few days in the small lake at Temescal Regional Recreation Area, just off Highway 24 on the Oakland-Berkeley border. This park was the site of the original dam created by Anthony Chabot to provide drinking water to the Oakland-Berkeley communities. He soon replaced it with the larger dam at Lake Chabot, built in 1874-75. Doug Cantwell, the Park Supervisor at Temescal, said some fishermen are a little less than excited to share their favorite fishing area with the pair. He and his staff are happy, though, that their lake is healthy enough to support the semi-aquatic mammals. You can check out Lake Temescal’s connections to the larger watershed at this interactive creek map on the Oakland Museum of California’s website to see some possible pathways the otters may have taken to get here. We're hoping they'll stay awhile. If you're lucky enough to see one of our local otters you can participate in the project by inputting your otter sighting on their website. Just click the "Otter Spotter" icon, and they'll thank you for contributing to this important population study! You’ll also find the project on Facebook. Just remember these are wild animals, so enjoy them from a distance.